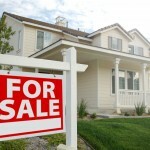 If you have recently sold your home, or are in the process of selling your homes there are a few tips that the IRS wants to remind all sellers. The most important is the ability to deduct up to $250,000 on any income gained from selling your house, $500,000 if you’re filing a joint return. If you can exclude all of the gain then you don’t need to report the transaction of selling your home on your tax return at all. If your gain cannot be excluded, then the portion above the $250,000 or $500,000 will be considered taxable income. On the other hand, if you sell your home at a loss you may not deduct this amount on your tax return. For anyone who owns more then one home you are only able to exclude the gain from the sale of your main home. You must pay taxes on the gain from selling any home that isn’t your main residence. Your main residence is the one that you spend the most time in. There are several tests for this. Recipients of the first time home buyer credit are required to own and live in the house for 36 months after the date of purchase. If the owner moves from the house within the first 36 months, the owner will be responsible for paying back a portion of the homebuyer credit that was issued. If you are planning on selling your home or other property please contact the CLloyd Group for more information on the tax consequences of the transaction. We will also be able to set you up with an expert broker to conduct a FREE Appraisal and assist you with your sale.